A still and video shoot for Esquire Magazine featuring six of the actors from acclaimed director Quentin Tarantino’s film “Inglorious Basterds”. 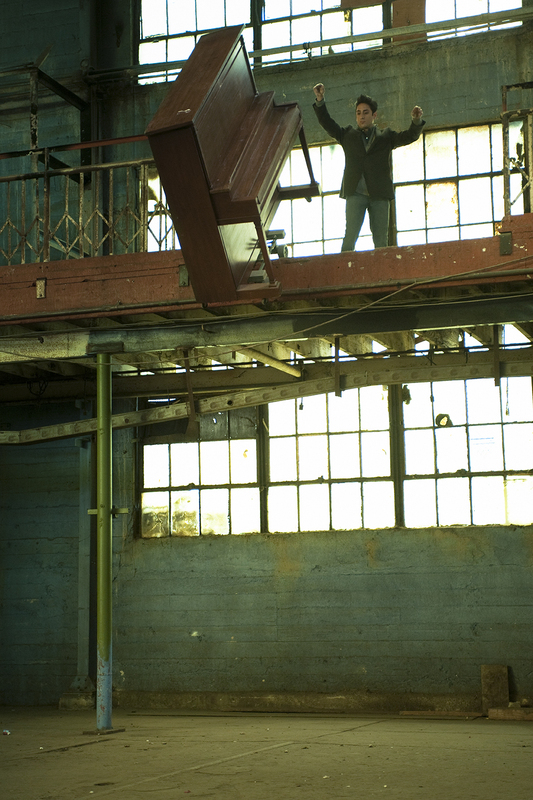 Each actor was given an act of “mayhem” to perform in this abandoned warehouse in downtown LA. BJ Novak flooded a bathroom, Gedeon Burkhard set a room on fire, and Eli Roth destroyed everything in sight with a sledgehammer. Fake blood was couriered over from Quentin’s “blood man”. Just another day at the office! Super cool warehouse location in Downtown LA. The fellas from Prop Steady admiring their masterpiece. It takes a village to get the HMI in the truck.